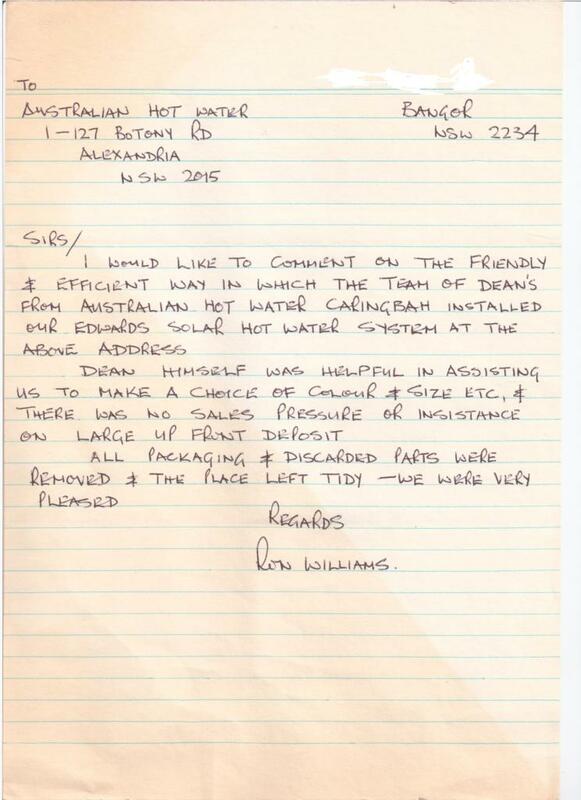 I would like to comment on the friendly & efficient way in which the team of Dean's from Australian Hot Water Caringbah installed our Edwards Solar hot water system at the above address. Dean himself was helpful in assisting us to make a choice of colour & size etc, & there was no sales pressure or insistence on large up front deposit. All packaging & discarded parts were removed & the place left tidy - we were very pleased.